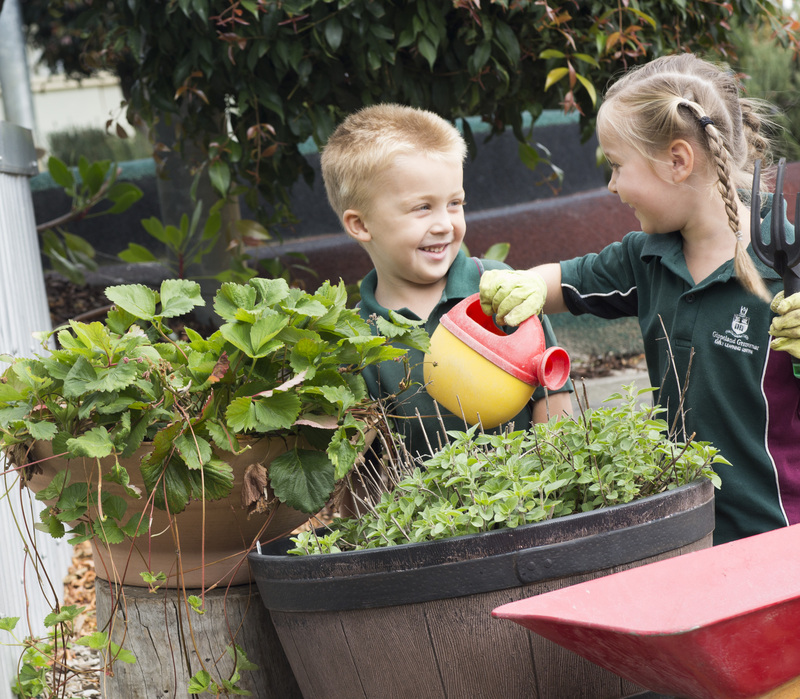 The Gippsland Grammar Early Learning Centre (ELC) provides an excellent beginning for your child as they embark upon their journey through school and life. Our Early Learning Program is tailored to meet the needs of 3 to 5 year olds and ensures that your child’s first schooling experience is a positive and happy one. Growing and learning at the ELC instils in children qualities such as respect, independence, empathy, tolerance and collaboration. These are aligned to the Gippsland Grammar Academic Care Principles that promote five core values– Compassion, Leadership, Excellence, Respect and Responsibility. Our philosophy is to create harmonious, caring and creative learning environments that will challenge and extend your child in these crucial years of intellectual, social, spiritual and physical growth. Children are encouraged to become, flexible, creative and adaptable thinkers who are ready to become global citizens and can navigate change in a fast moving world. They are immersed in an environment which provides plenty of early literacy and numeracy experiences, a mix of adult and child directed learning, as well as opportunities for open ended interest based exploration. Our daily programs integrate the arts, science, mathematics and language, development of thinking skills, growth mindset and education about sustainability. Parents are welcomed as active partners in the process of their child’s education. 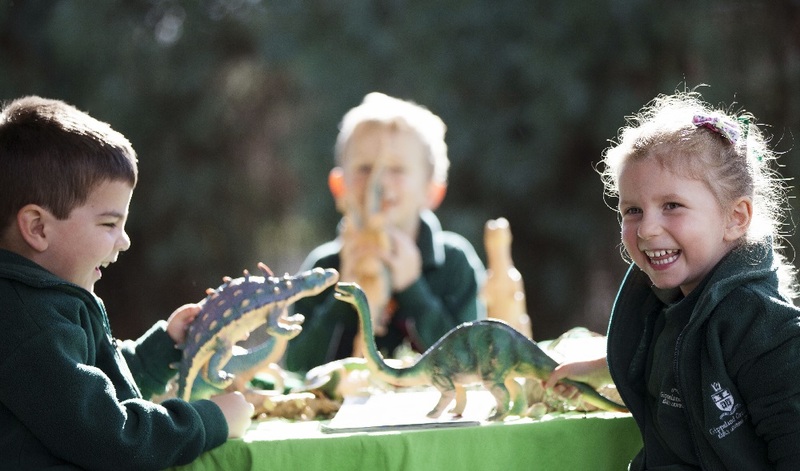 The school has two Early Learning Centres located at the St Anne’s Junior Campus (Sale) and at the Bairnsdale Junior Campus. 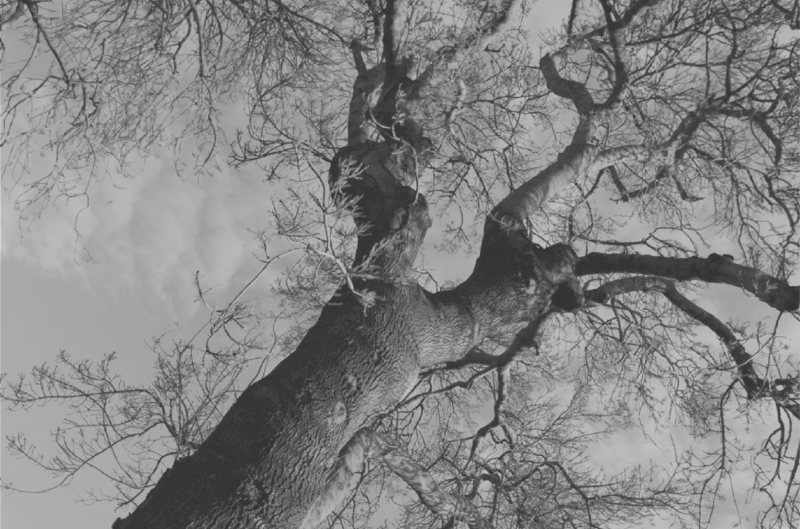 Both provide learning environments that are beautiful, purpose built and have landscaped playgrounds. 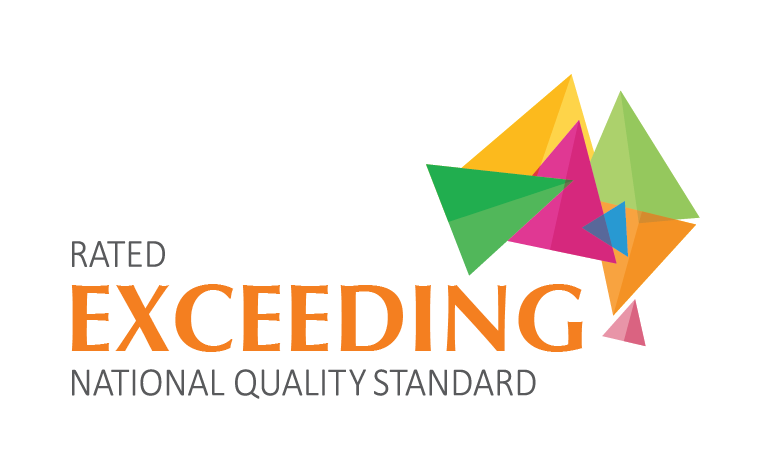 Both centres are currently rated as ‘Exceeding’ the National Quality Standard. While the Early Learning Centres have their own safe enclosed areas within the campus, the children are able to see and interact with the older children and become very comfortable with the idea of being part of the ‘big school’ from an early age. This helps to make the transition into Foundation both successful and seamless. The ELC teachers work closely with Foundation and Early Years staff members to ensure that each child is well known as they make the important ‘Step into School’. The Reception Program is for children who have turned three. Children can attend for a half (3 hours), full or two full days. 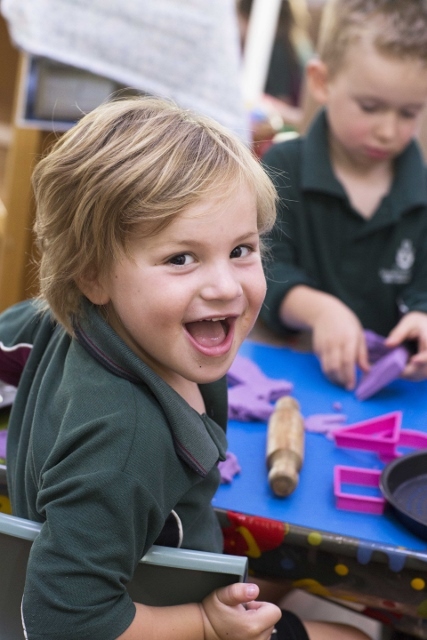 Our focus in Reception is the creation of a relaxed, warm and nurturing environment where all children feel safe, secure and supported as they begin their first step into formal education. Children are invited to play, explore and develop a wide range of skills, whilst gaining confidence and independence. Building a strong and confident self-identity supported by trusting bonds with the two educators, allows your child to build positive feeling about themselves as learners. Fun and age appropriate activities such as painting, singing, cooking, reading books, doing puzzles, constructing with blocks, dressing up, climbing and learning about nature and sustainability helps your child to develop skills and a sound foundation for later learning. A specialist Music lesson run by the Junior Music teacher is included in the program. The Transition Program for four and five year olds is the next step in your child’s educational journey. Children’s existing skills and abilities are built upon and extended by a curriculum that is rigorous and highly engaging. The children attend the Early Learning Centre for three days each week. In Transition the children are busy playing and working in the Early Learning Centre. They also begin to move around the junior campus and become familiar with it. The program is enriched by weekly specialist lessons in Music, Japanese and a Perceptual Motor Program (PMP). Children also attend the Library weekly to borrow books. Each child in the Transition Program has their own special Year 5 ‘buddy’. The ‘buddies’ program encourages each ELC student to build a strong and caring relationship with an older mentor who will support them again as they move into Foundation the following year. Our Year 5 students provide wonderful role models for their younger ‘buddies’, showing them what it means to be student at Gippsland Grammar School. Enrolments for the Early Learning Centre can be made at any time using the Early Learning Centre Enrolment Form via the link above. This will place your child’s name on our wait list. With a strong enrolment history, early enrolment at the Early Learning Centre is advised. Places are offered via email in the year prior to commencement. In cases where there are more children than places available priority will be given to children who have siblings already attending the junior campus (Foundation to Year Six). Places will then be allocated to children who are enrolled to attend Foundation in a future year and have paid the non-refundable Foundation Holding Deposit then by date of enrolment.